With the legalization of recreational marijuana looming in Canada, therapeutic producer Aurora said Monday it was acquiring rival MedReleaf Corp. in a huge deal set to create a giant company. Aurora said it would pay Can$3.2 billion ($2.51 billion) as part of an all-stock deal that will leave Aurora shareholders with control of 61 percent of the resulting company. 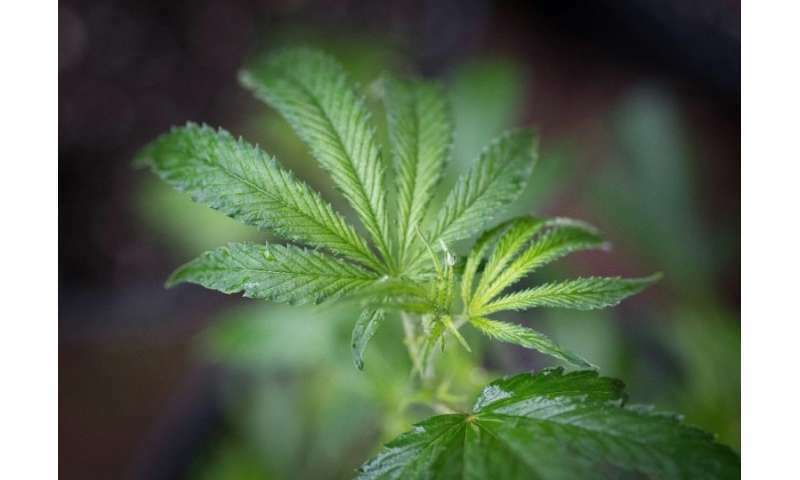 The new company will have a production capacity of 570 tonnes of cannabis a year, with nine greenhouse operations in Canada and two in Denmark, Aurora and MedReleaf said in a joint statement. The merger comes amid surging interest in the country's nascent pot industry with legalization expected this summer. Already in January, Aurora had spent more than Can$1 billion to purchase rival CanniMed. The Canadian government originally scheduled legalization for July 1, coinciding with the Canada Day weekend, but complications with new distribution and monitoring systems forced delays. But last week Prime Minister Justin Trudeau told AFP that legalization would come this summer. While provincial governments work to set up distribution channels—and prepare to share resulting tax windfalls with the federal government—companies linked to the cannabis business have seen a speculative bubble develop. The capitalization of the three biggest Canadian producers on the Toronto Stock Exchange has exploded in recent months. Aurora shares have more than tripled in value in the past year, to more than Can$4.6 billion. Whether or when that bubble might burst is unclear. But it illustrates the growing interest in this soft drug, seen increasingly as a fiscal boon to governments in Canada, as it has been in US states like California that have legalized pot use. In another deal, one of Aurora's chief rivals, Canopy Growth, announced Monday its purchase of the 33 percent of the Tweed Joint Venture group that it did not already own for Can$374 million, and said it planned to list its shares on the New York Stock Exchange.